Price listed is for two stamped brass connectors. 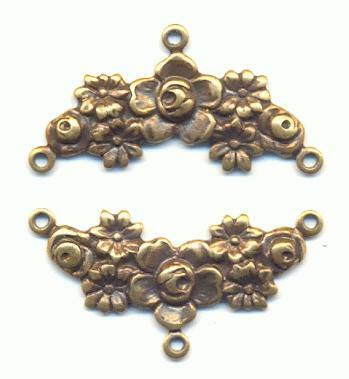 These are approximately 27mm by 13mm antique brass plated brass connectors. They have one loop on one end and one on each side for a total of three loops.